Absolutely Flawless Corner Loft with Blazing Sunshine! Premier elevator building in South Boston’s hottest neighborhood, minutes from Broadway and Seaport! Over 1300 square feet all on one level! 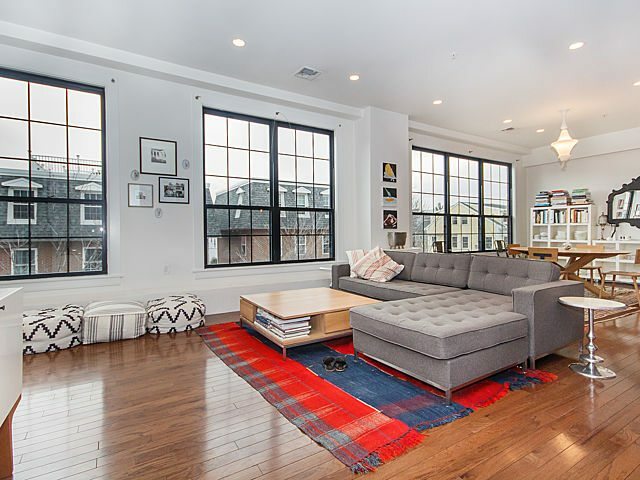 This highly sought after 2 bedroom, 2 bath home is part of the Spice Lofts, developed in 2010 in the former Dirigo Spice building. Located on the second floor, this corner unit has fourteen 7′ Windows, flooding the home with sunlight! Superior Open-concept floor plan offers Amazing original architectural details, 10’+ ceilings, generously-sized living room, separate dining area, and large Gourmet Chef’s kitchen with granite counters and stainless appliances! The master suite has views of Downtown, a Lavish Spa Bathroom with Oversized Shower, walk-in-closet with Custom built-ins! King-sized Guest bedroom with generous closet space. Hardwood floors throughout! Central AC & tankless hot water. One deeded garage space is included! Professionally managed! A Truly Outstanding Home! Click Here for the Floor-plans and more Photos!